Boers-Li Gallery New York is delighted to announce the opening of Renais sense, the first solo exhibition in the gallery and in New York of the performance art pioneer and conceptual artist Ulay, to open on Thursday May 3rd, 2018. 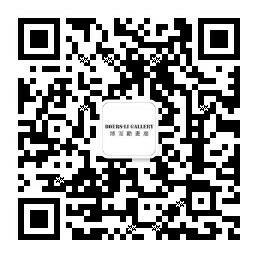 This exhibition will bring together a large body of Ulay’s early Polaroid works from the 1970s, the iconic video works made in collaboration with Marina Abramović in the late 1970s and 1980s, as well as his more recent projects. By the mid-1970s, through radical intimate actions and explorations of the body with Polaroid photography, Ulay had developed a comprehensive series of work that re-establishes the intertwined relationship between photography and performance. At the core of his artistic practice is the relation between photography and identity as two ontological entities entangled by their shared performative nature. 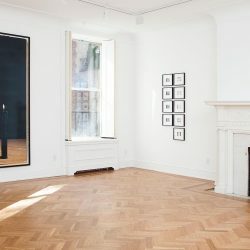 Although his quest for personal identity and testing the limits of his body remained central themes during his entire oeuvre, Ulay’s main artistic concern has been to explore in many different ways the concept of “the ontology of photography”, referring to Andre Bazin’s definition of photography as a “preservation of life by representation of life”, and as a “mould of reality”. His commitment to showing reality in its most basic, raw, and truthful form poses an existential and ethical standpoint, where Polaroid is used as the ultimate material to re-stage reality, rather than showing it as a mere reproduction. Unprecedented, Ulay’s intuitive approach to Polaroid lies in his obsessive performance of the self-as-image and its emancipatory nature. 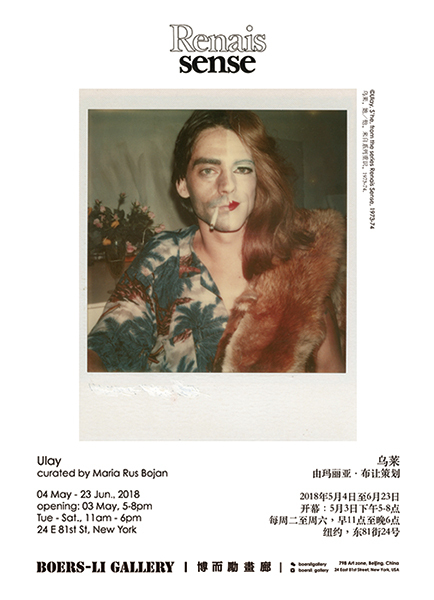 Recognized by the gallerists, WiesSmals and Mia Visser, two legendary figures of the then art scene in Amsterdam, Ulay realized in 1974 the exhibition Renais sense - as a word play, referring to the multi-layered facets of his works and a persistent return and re-cycle as his way of work and life. Following this show, De Appel Foundation was established in Amsterdam in 1975-76 by the two gallerists and Ulay, and thus, Ulay became part of a core circle of performance artists including Alison Knowles, Gina Pane, Laurie Anderson, Vito Acconci, JurgenKlauke and Marina Abramović. 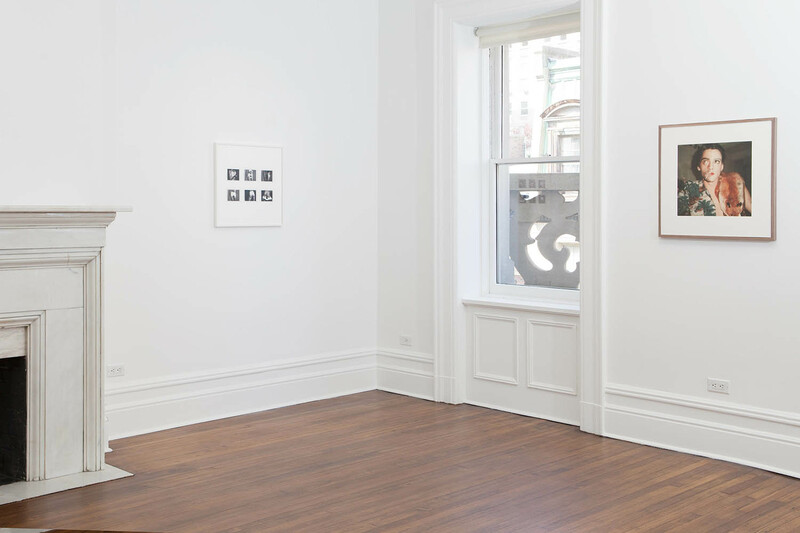 As a continuation of its first installment in 1974, Renais sense at Boers Li gallery New York seeks to revisit the centerpieces presented in the 1974 exhibition, and in particular, to highlight his radical approaches to body, word, image and the construction of his multiple Other. 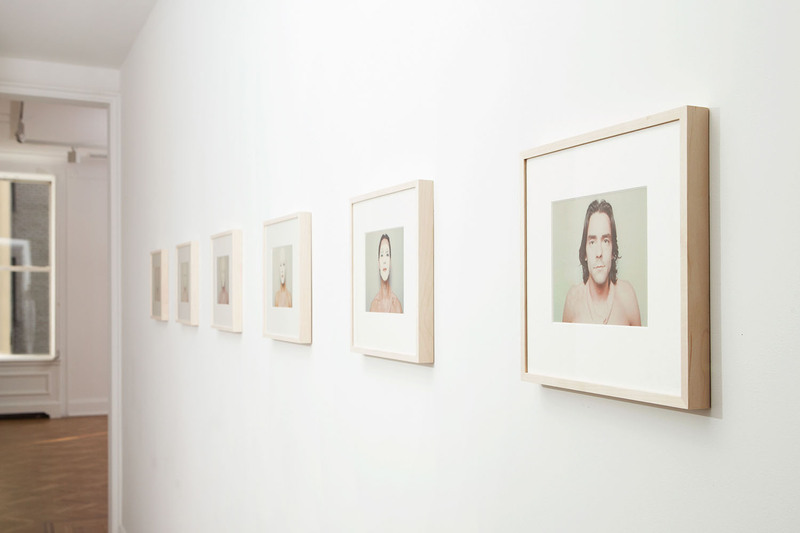 Proclaiming the body as a medium par excellence, Ulay considers his works from the Renais sense series as Auto-Polaroids “that serve as reference in the process of his construction of multiple identities”. Often dressed up like a woman, Ulay took on several personae while hanging out with his marginal friends – transgender, transvestite and transsexual. Through a process of constant self-experimentation he discovered within himself the Anima - a feminine sensibility, which he sought to translate into Polaroid. Labeled anti-aesthetic, Ulay’s photographs from this series once offended the then contemporary art audience. Its controversies lie in the intimacy, radicalism and affection of Ulay’s performative gesture retained within the photographic documentation. Retrospectively, this series of experimental work anticipates his philosophical understanding of the photographic medium, that is, “photography is just a glimpse, a detail or fragment of the whole”, as if camera obscura is “a window” through which one looks at the world. In his quest for self-identification, in 1976, Ulay encountered Marina Abramović, who miraculously filled in his anima. Feeling complete as one, Ulay / Abramović made Relation Works, to question the preconceived notion about gender and the fluidity between masculine and feminine while pushing the boundaries of the body through charging, long lasting and enduring performances. Between 1977 and 1978, they lived in a mobile van, travelling throughout Europe for various performance projects, while immersing themselves in nature. After a decade of travelling, working and living together, they started planning for a walk along the Great Wall in China in 1986 as their relationship came to the end. Approved by the Chinese authority in 1988, Ulay / Abramović finally set out for the Great Wall: they walked towards each other from two ends of the wall on the same day and time; after three months, they finally met in the middle, putting an official end to their legendary Relation Works and life together. Returning to his work and life as an individual artist, Ulay further explored the extent to which the photographic image can embody a facet of spirituality lying beneath the ephemeral things surrounding us. Playing with photography’s slippery identity between the real and the illusory, Ulay applies a constructive framework to (re)present his photographs which, at once, bear the facticity and transcend life. From the explicit self-portraits, to soft, skin-filled details of bodies, and striking large formats of Polaroids, Ulay’s photographs give substance to the subject whose paradoxical nature surfaces out of the materiality of photography. 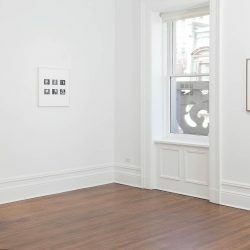 As the reputed scholar Thomas McEvilleyonce put it, the process of conceiving each series and major project of Ulay “as a coherent world in itself, while shifting through a variety of artistic points of view, not regarding any one of them as absolute”. 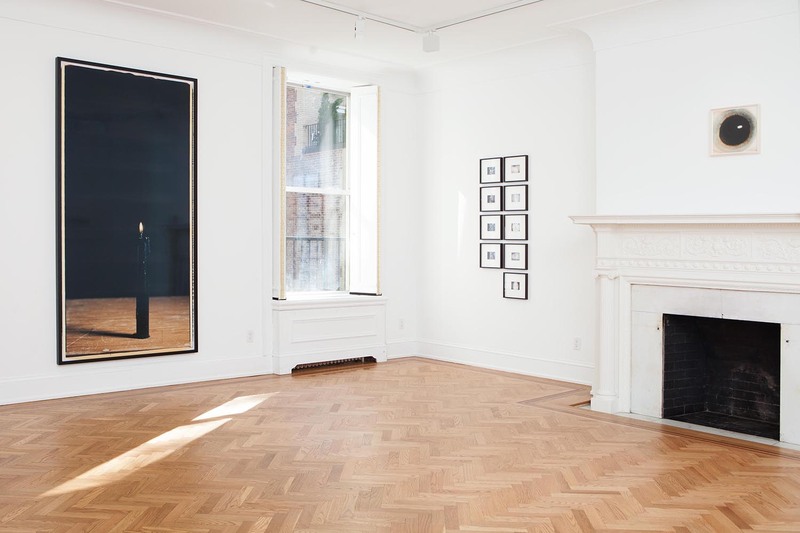 In his own way, Ulay has been always committed to a permanent process of “renaissance”, while documenting his “life-in-the-project” from which he re-invents himself by resurrecting the ashes from his past experiences. Ulay is the pseudonym of Frank Uwe Laysiepen. Born in Solingen, Germany, on November 30, 1943, Ulay left his hometown for Amsterdam in 1968 where he started his career as a photographer for Polaroid Company. Currently living between Amsterdam and Ljubljana, Slovenia, Ulay’s works are in the collection of major international art institutions worldwide, including Stedelijk Museum Amsterdam; Van Abbemuseum Eindhoven, Castello di Rivoli, Torino, Kunstmuseum Bern, Centre Pompidou Paris, The Yamaguchi Prefectural Museum of Art, Japan, Tate Modern, London, San Francisco Museum of Modern Art, ModernaMuseet Stockholm, Staedel Museum Frankfurt, Louisiana Museum Humlebaek, Musee D’art Contemporain Lyon, and the Rabo Art Collection Utrecht..
Maria RusBojan is an international curator based in Amsterdam and a board member of the Ulay Foundation. 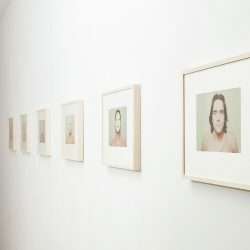 Since 2005, Bojan worked closely with Ulay, writing, curating, and producing materials for several international exhibitions such as Ulay’s first major retrospective, GEN.E.T.RATION ULTIMA RATIO, (2005), at Centro Parraga, Murcia, Spain, while contributing to his recent retrospectives at NederlandseFotomuseum, Rotterdam, and SchirnKunsthalle Frankfurt, (2016). Together with the New York based writer Alessandro Cassin, she published Ulay’s first monograph: Whispers, Ulay on Ulay, at Valiz Amsterdam, awarded the Special Prize for Publications of the Dutch Section at the International Association of Art Critics in 2015.